Countrywide service makes us one of the best group legal plans vendors. Nevertheless, we know our pre-paid legal services do not cover all legal situations. American law has many specialty areas. Domestic, adoption, marine and intellectual property are examples. Plan members might have issues beyond the ordinary and need special assistance. Unlike some vendors, Countrywide Pre-Paid Legal Services will not hesitate to make referrals if it is necessary. 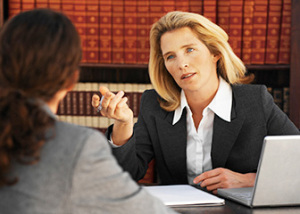 Outside counsel can be called in on special cases. The cost can be considerable and these attorneys command higher than normal fees, but we help our plan members. Countrywide wants this service to be affordable and fee reductions are a part of any referral. A 25% discount on hourly and scheduled rates from the referred attorney. 2. Contingency fee cases such as personal injury will be given a 10% discount from the standard contingency percentage that the lawyer charges. .Even though we may have worked with the attorney in the past, we still expect to have a detailed fee schedule as part of an agreement. That way, we can guarantee that our group legal plan members are getting reduced rates. There are no hidden costs or fees because we insist on transparency from the attorney. The referral service is just one of the Countrywide benefits. We have options that include simple wills, help working with government agencies, and a review of legal documents, among other items of interest. We understand that not all our benefits will be part of a given plan. We want our clients to choose what pre-paid legal services best fit the needs of employees. This policy helps create a pre-paid legal services plan that benefits the most people. Countrywide has an efficient administration that provides all services quickly. We insist that all our attorneys have good people skills and are expert in the law. We do not want anyone to wait an unreasonable period time. Plan members get quick pre-paid legal services whether it is within the Countrywide system, or from a referral. Clients rely on us to provide the best. We do not disappoint them, and our service is superior. Plan members have always commented on our attention to detail and how quickly they receive assistance from us. We expect to continue in that tradition. Countrywide has provided pre-paid legal services benefits for over 30 years. We deal with all kinds of organizations and each gets the same high-quality attention. It is the commitment we always follow and will do so in the future. A referral is never an admission of poor service to a client. It is, instead, an indication of the regard others have for Countrywide. Another attorney is under no obligation to accept a referral and a bad referral is not wanted. We represent reputable organizations with highly productive and intelligent employees. Other lawyers know this and gladly accept the opportunity to help a Countrywide group legal plan member. You might be interested in Countrywide and all our benefit options. We seek to help people with legal problems, and our benefits address common challenges. Please feel free to contact us at your convenience and ask as many questions as you wish. We will answer them all.